To all our friends, business partners and volunteers for the continued support of our tournament and their contributions to Lutherwood’s Children’s Mental Health Services. Through this tournament, you are building on Dennis’ wish to help children who are struggling with mental health, kids who are suffering more than any child should ever have to. A cheque for $40,000 from the 8th Annual Dennis Strassburger Memorial Golf Tournament will be presented to Lutherwood. 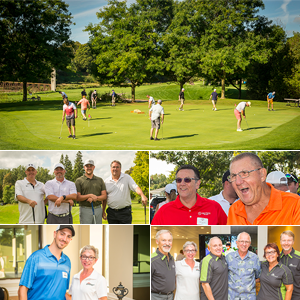 On Monday, September 17th, friends, family and colleagues gathered at the Conestogo Golf and Country Club for a great day on the course in support of Lutherwood’s Children’s Mental Health Services. The weather was perfect and the turnout was incredible, making for a fantastic day of golf and memories. We’re already planing for next year’s tournament, so watch for details in the new year. Click here to view the 2018 gallery! Dennis was a special man who raised the spirits of people around him with joyful personality and humour. 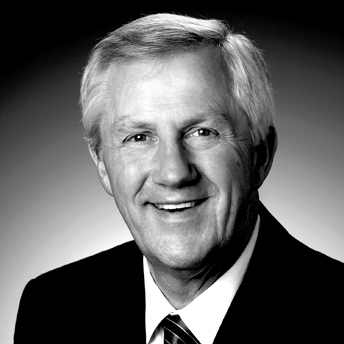 A man dedicated to family, business and friends, Dennis made the world a better place and will be remembered as someone who made a difference. Dennis took pride in the number of organizations Strassburger Windows and Doors supported in particular, The Lutherwood Foundation, who they have supported with a number of long term donations. Lutherwood was named the organization which memorial donations were to be given, and his family, friends and business associates responded overwhelmingly. Lutherwood received the largest donation given by a single memorial request. That money was used to open Denny’s Café at Lutherwood in October 2011. This tournament was established in Dennis’ honour to raise money to help Denny’s Café and Lutherwood’s Children’s Mental Health Centre continue to operate now and into the future.